View o the modren ceety o Serres frae the Acropolis. 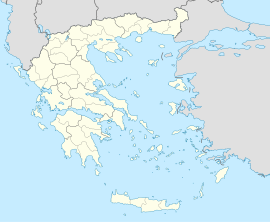 Sérres (Greek: Σέρρες, katharevousa: Σέρραι, Sérrai) is a ceety in Macedonie, Greece, caipital o the Serres regional unit an seicont lairgest ceety in the region o Central Macedonie, efter Thessaloniki. This page wis last eeditit on 5 Mairch 2018, at 01:00.